Are you looking for an opportunity to take advantage of a quick move-in process? Walk to restaurants, Lidl grocery, Starbucks, and so much more in our community. Given that our 2nd floor entry Park floor plan is in the drywall stage, it enables you to add your finishing touches based on your design preferences. The Park floor plan by Eagle Construction blends the charm of the Fan with all the benefits of a new home in an eclectic, urban community. 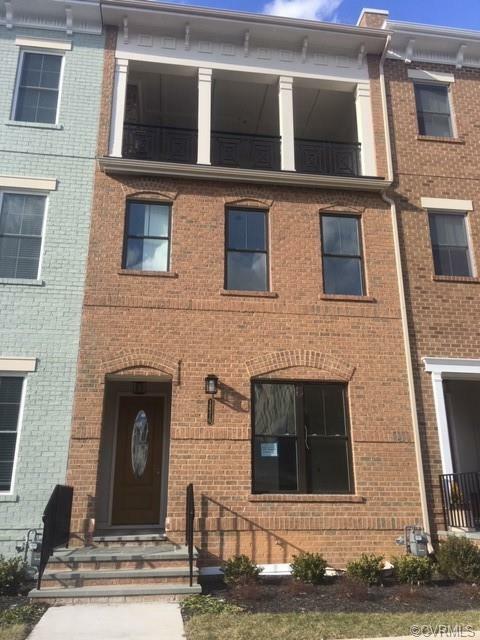 This 3,033 square foot home offers an open main living space 2-space garage, 4 bedrooms, spacious outdoor deck and stunning 4th floor COVERED rooftop terrace with a beautiful brick fireplace. Even more to love are the 10- foot ceilings, crown molding, gas fireplace in the family room, dual master suites on the 3rd floor and so much more. Elevator options are available! Listing courtesy of Eagle Realty Of Virginia. Listing information © 2019 CVRMLS and CBRAR.